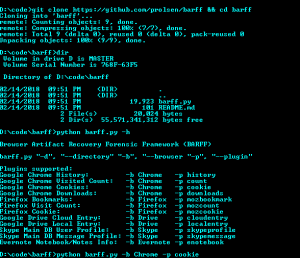 Browse: Home / BARFF – Browser Artifact Recovery Forensics Framework. BARFF – Browser Artifact Recovery Forensics Framework. 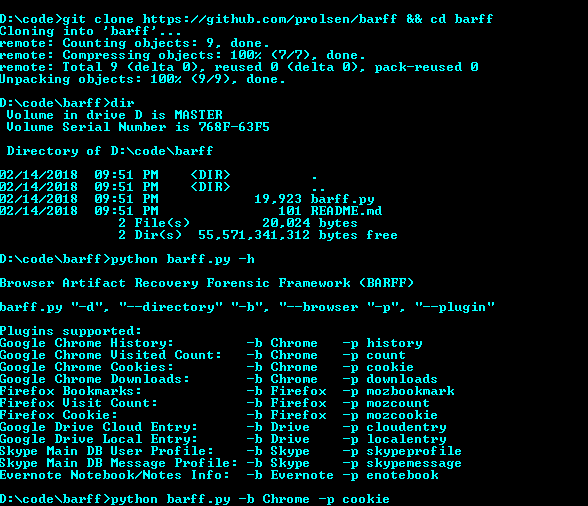 BARFF is python2 scripting for Browser artifact recovery and processing framework. + Google Chrome History, Visited Count, Cookies and Downloads. + Firefox Bookmarks, Visit Count and Cookies. + Google Drive Cloud Entry and Local Entry. + Skype Main DB User Profile and Message Profile. ← sRDI – Shellcode Reflective DLL Injector.